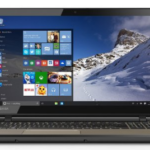 After days' waiting, Walmart finally begins to offer Toshiba Satellite C655D-S5080 for $428! 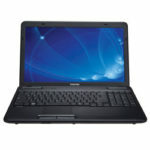 It's a 15.6-inch laptop with a 2.30GHz AMD V Series V140 Processor, 2GB DDR3 system memory, and 250GB SATA hard drive. This is great for our daily use. It also comes with ATI Mobility Radeon HD 4250 Graphics with up to 267MB-893MB dynamically allocated graphics memory, Built-in Webcam with built-in microphone, Digital media card reader, and 6-cell lithium-ion battery. The laptop provides a SuperMulti double-layer DVD burner that lets you watch DVD movies on your computer, read and write CDs and DVDs in multiple formats. 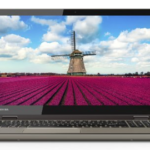 And you can easily connect to a broadband modem or a wired broadband router with wired Ethernet, or wirelessly connect to a Wi-Fi signal or hotspot with the 802.11b/g/n connection built right into this Toshiba C655D laptop. The laptop includes 2 x USB 2.0 ports, 1 x VGA port, 1 x RJ-45 Ethernet port, 1 x headphone jack, 1 x microphone jack. 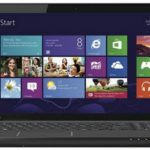 The Toshiba Satellite C655D-S5080 laptop powered by Windows 7 Home Premium 64-Bit operating system, and it comes pre-installed with Microsoft Office 2010 Starter 2010, Symantec Norton Internet Security 2011 (60-day trial), Microsoft Live essentials, WildTangent Games Console, and Toshiba Media Controller. 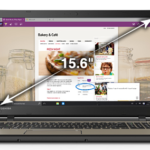 The laptop has a 1-year limited hardware warranty with International Limited Warranty. Pretty cool, isn't it? 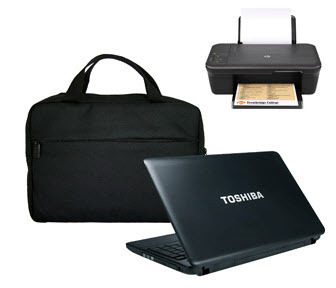 Now the promotional price is $428.00 on Walmart, with a Carrying Case and Printer, a very good bargain. Want one? Go and grab it before it's gone!